When we have a shower, our skin is continuously exposed to a great amount of thin chlorine solution. A certain part of this chlorine gets into chemical reaction with the oil on the surface of the skin and this is the way, in which this harmful chlorine solution gets into the deeper regions of the skin. The chlorine has a little oxidizing effect and this accelerates the aging of the skin. Another harmful aspect is that it destroys the natural bacteria flora of the skin, thus damaging the natural ecology of the skin. From skin diseases are the in many countries endemic fungal diseases the most common. Warm water of swimming pools and spas favor the growth of fungi, and saunas and various community toilets provide an excellent breeding ground for fungal infections. Chlorine dries the skin of the scalp and as a result, it itches and peels. 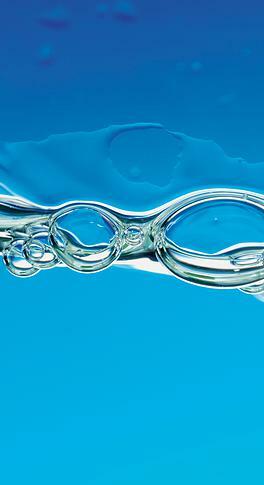 The content of the SPA water clearing capsules transforms the chlorine into chloride. The resulting slightly salty water has a definitely good effect on the skin of the scalp. Bacteria cause many illnesses of the scalp. Stagnate water in any tap can become the hotbed of any bacteria, as a result we pour water full of bacteria onto our head while having a hair wash. The SPA water clear capsule functions like a galvanic battery in wet agent, which destroys bacteria. This way they cannot increase in the tap. There are not any bacteria that can get onto our scalp while we are having a shower or our hair is washed. The skin of our scalp is as sensitive as the skin of other parts of our body. While we are having a shower, the heavy metals in the water cause the same irritation on our scalp as on other parts of our body. It is worth considering what kind of water we use for washing our hair! Washing our hair with water free from chlorine, bacteria and from any heavy metal is a definite help against dandruff and with the treatment of other inflammatory illnesses of the hair bulb. High blood sugar favors the growth of microorganisms. Hard healingl, festering sores, infections occur, the rectal or around the reproductive organs, occur difficult to relieve itching. The fungi are able to digest the skin, hair and nails, which infect the skin, hair and nails as well. Against fungal diseases the body has a natural immune system in which the naturally occurring bacterial flora of the skin acid mantle and the intact horny layer jointly play a role. In case of damage to the skin immune system is more likely to develop infection! If we can not protect your skin from the adverse external influences at least pay attention uring the daily cleansing on chlorine, heavy metals and eliminate exposure to bacteria. Our skin is our largest organ; it covers our entire body. Nothing could protect us better from external impacts. However, there are a lot of dangers lurking on us and even this wonderful organ fails to resist them on occasion. Experts are constantly debating about the quality of tap water. Some say that it is of very good quality while others say the opposite and both sides can support their arguments with credible measurement data. Both sides are probably right, but we can point out that the quality/contamination level of tap water varies in different areas. Another fact is that water is still often delivered to homes through pipes made of iron and lead. Water running in these pipe solves these materials – albeit to a small extent. Not to mention that there are other ways for unhealthy substances, e.g. heavy metals, to get into the water. It is a well-known fact that tap water needs to be chlorinated in most areas in order to kill germs potentially present in the system. This controlled sterilization – which can be done by chlorine gas, chloride of lime or bleach – is necessary, but service providers usually increase the amount of added sterilizer due to certain external effects (e.g. : broken pipe or flood). Mind you, chlorine – in addition to being a lethal poison – may also react with certain organic matter in water, thus forming 50-60 types of carcinogenic substances. Remember: drinking water is not the only way for unhealthy substances in water to get into our body. They can also get through our skin and/or be absorbed through the lungs along with the inhaled water vapour. Another fact is that even if these substances are unable to penetrate our first line of defence, i.e. our skin, they can still damage it. Many of you must have felt an unpleasant tightening of your skin after a bath or shower. This could indeed be caused by the chlorine in your water. SPA filter capsules of the water filtration hand showers enable you to minimize the risks mentioned above. 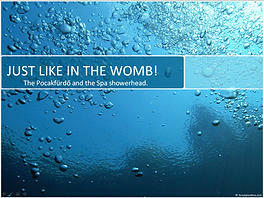 SPA shower water filter systems – for a healthy skin! The SPA filter capsule may help the Chlorine water caused skin problems(dandruff, eczema, dry/itchy skin) The vaporized Chlorine water can be harmful to the nervous system. What effect does it have on us if we have a bath or a shower in chlorine water while we breath the chlorine gas i.e. chloroform that arises from the steam? We speak about the chloroform that was used during the World Wars as chemical weapon, or as anaesthetic, because of its narcotic effect but which was banned because of causing cardiac arrest and liver damages. It can be stated that it is 2/3 of the chlorine that gets through our skin and by inhaling shower steam into our organism. The warm shower expands the pores of the skin thus allowing chemical materials to get into our skin easily. The steam we inhale while having a shower contains different chemical materials, which are 100 per cent more damaging than running water, as the chlorine and the toxic materials evaporate at much lower temperature than water. This vapour consists of various very harmful toxic compounds. The inhaled chlorine gas immediately gets into our blood stream.